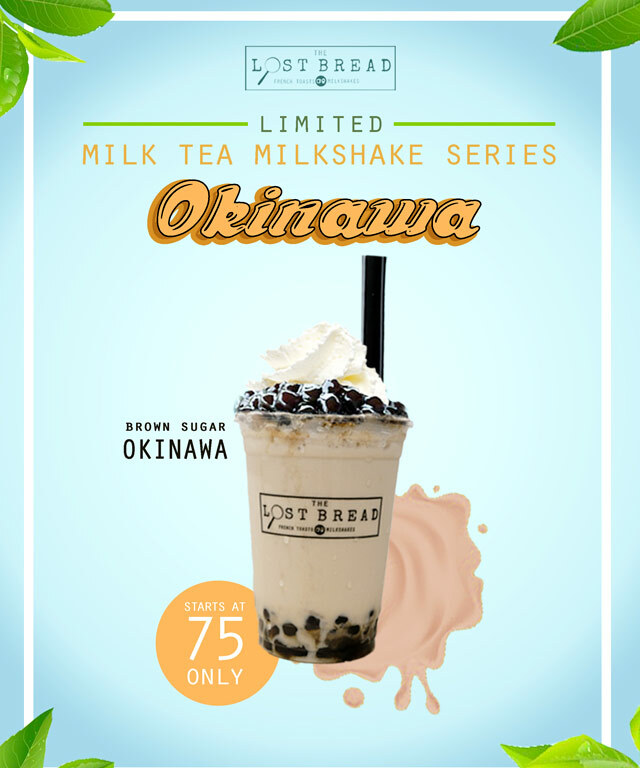 (SPOT.ph) The milk-tea craze is still going strong, and the drink isn't limited to chains and Taiwanese restaurants anymore. 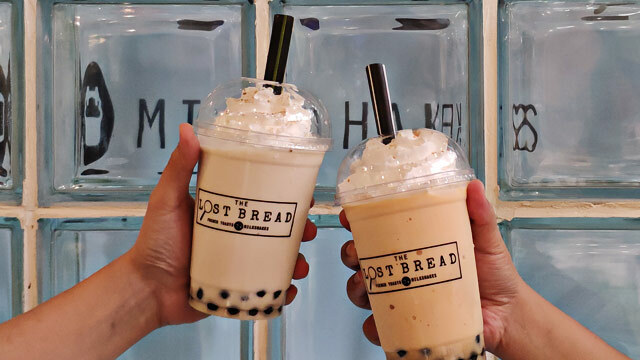 If you're looking for something new to satisfy your milk-tea cravings, try The Lost Bread—the dessert place known best for their Instagram-worthy milkshakes now offers Milk Tea Milk Shakes (P120/regular, P75/baby shake). 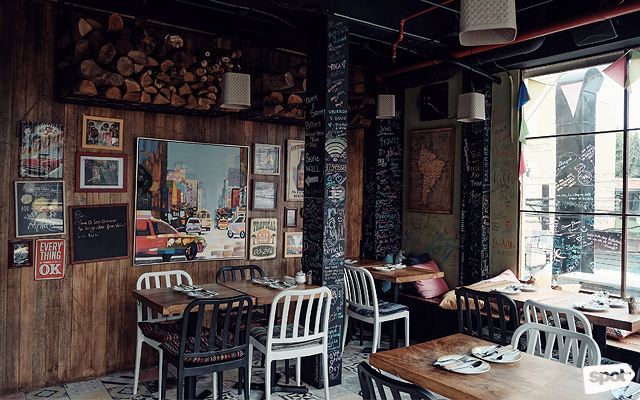 The Brown Sugar Okinawa has roasted brown sugar for a toasty flavor. The Lost Bread also takes on Thai Milk Tea with this spiced creation. 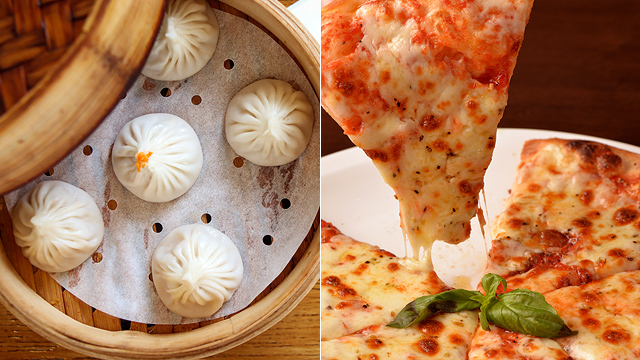 The Lost Bread tries their hand at three classic milk-tea flavors. There's the Brown Sugar Okinawa which blends milk, Okinawa black milk tea, ice, and toasted brown sugar. 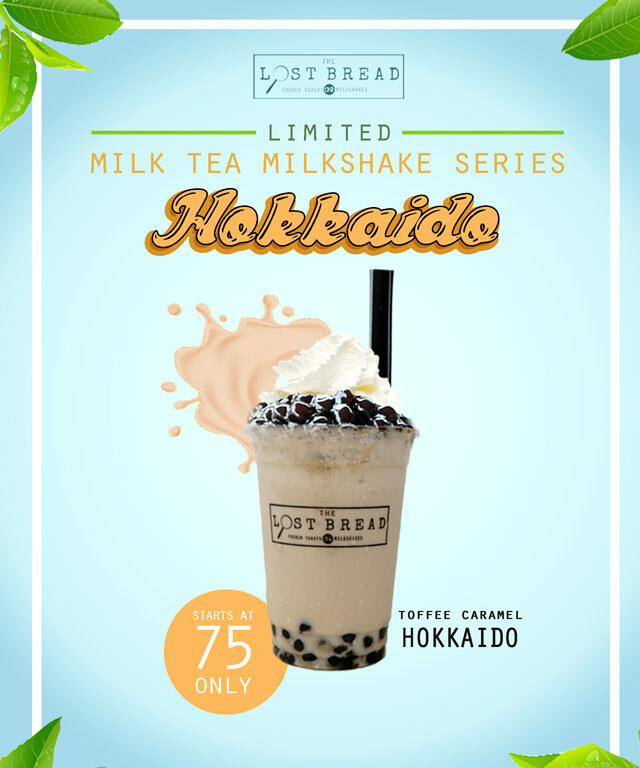 The Toffee Caramel Hokkaido, on the other hand, has milk tea sweetened with toffee caramel. 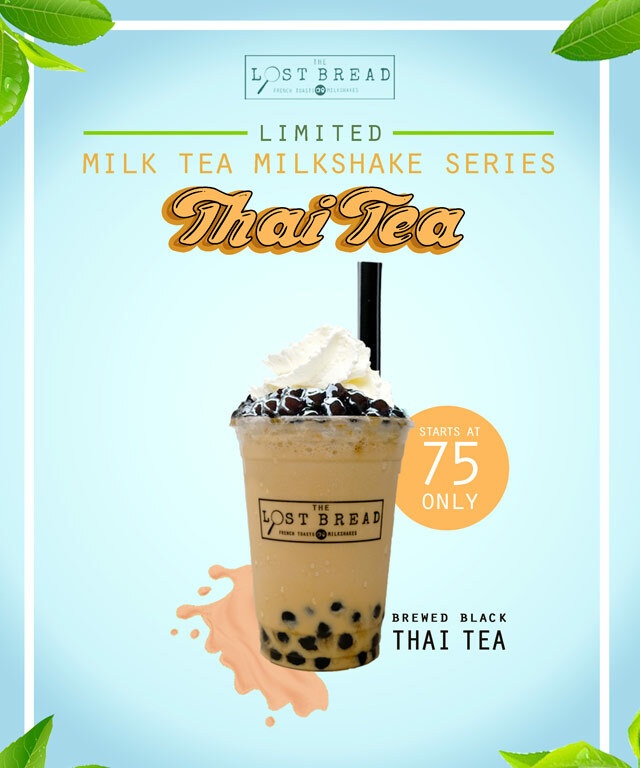 The Lost Bread also offers their take on Thai milk tea with the Brewed Black Thai Tea, which has spiced black Thai milk tea blended into a milkshake. All Milk Tea Milk Shakes come with black pearls and are topped with whipped cream—it's like the best of both worlds. See a list of The Lost Bread branches.